Both these photos were taken around Sweetzer Avenue and Sunset on the Strip looking west map]. 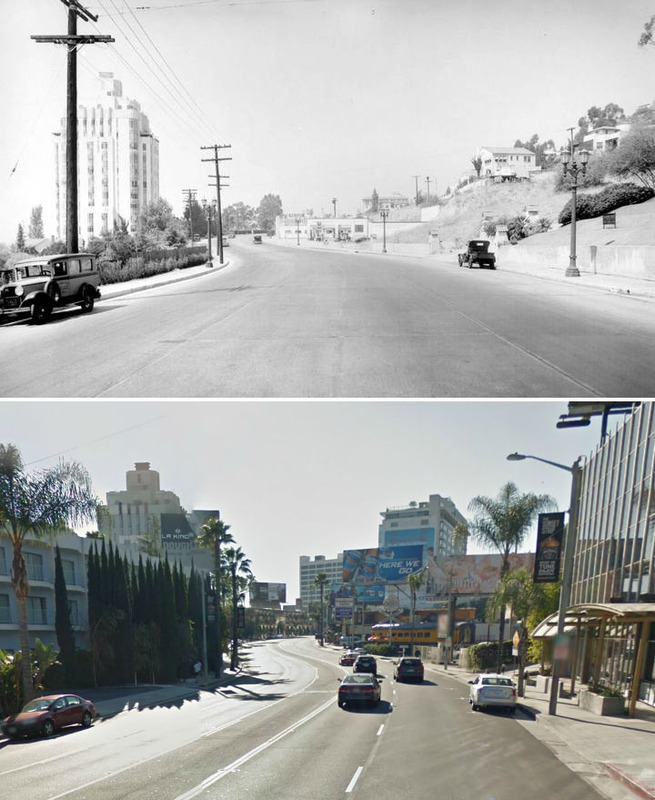 The Art Deco tower to the left in both shots is the Sunset Tower, which was completed in 1931. 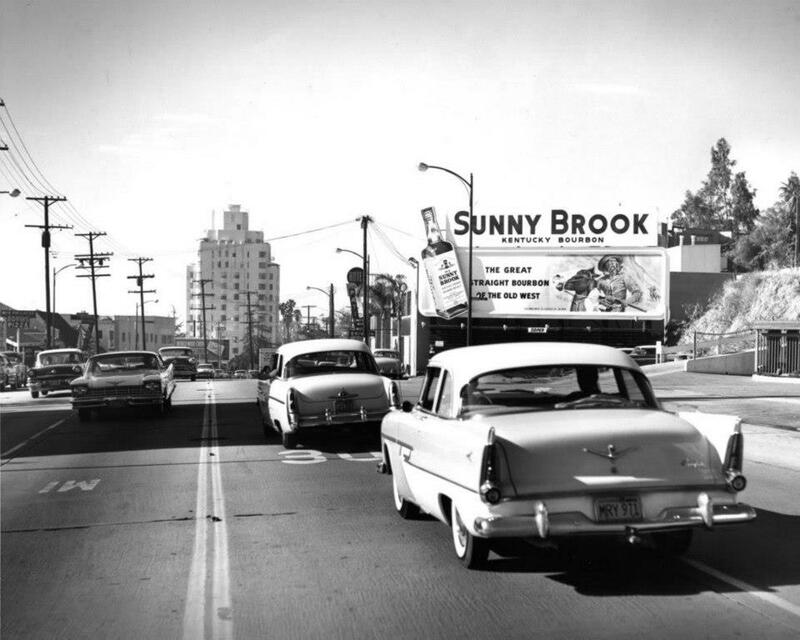 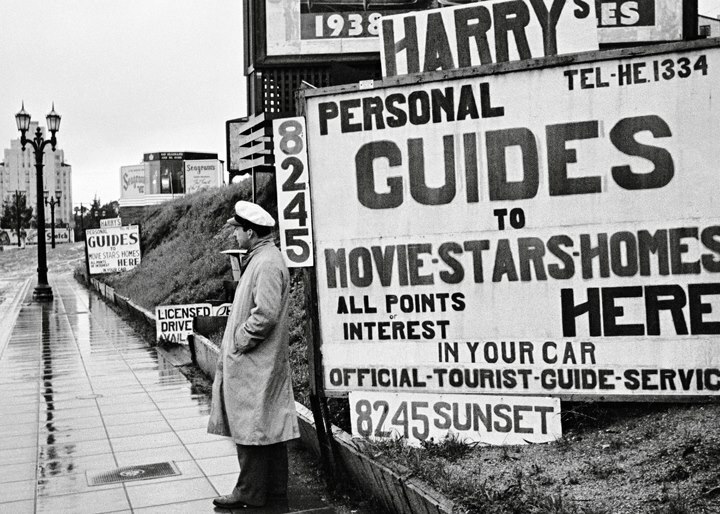 The Sunset Strip in the 1950s looking west from about Sweetzer Ave. That’s the Sunset Tower on the horizon. 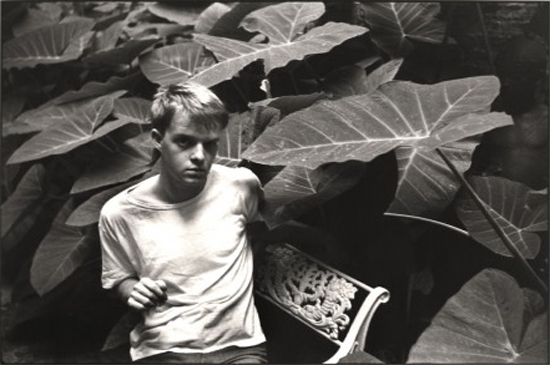 – Truman Capote, age 24, in Los Angeles in 1947 to write an essay on Hollywood for Vogue.